Violent incidents in the workplace continue to make front-page headlines. Even more incidents take place each day that go unreported in the newspapers but that have lasting effects on employees health and productivity. Preventing these incidents requires that your employees and leaders be able to act on situations before they rise to the level of violence. 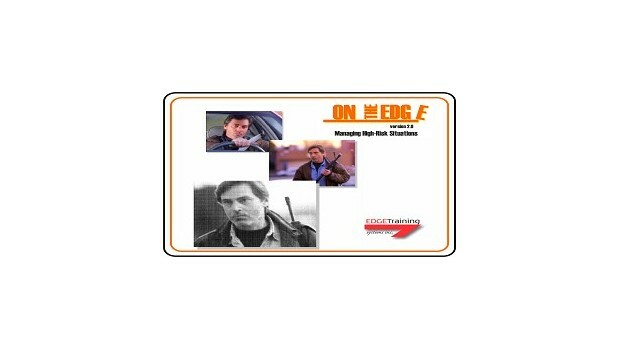 This film, an update of our best-selling 1996 film, On The Edge: Preventing Violence in the Workplace, presents realistic scenarios in which employees face volatile and potentially violent situations in the workplace. Suggested solutions are offered as to appropriate resolutions, as well as any preventive actions that could have been taken prior to the situation arising. Shot on 35mm film with feature-film experienced crews and actors, this video uses actual office and industrial locations to provide the realism and high quality viewers might expect from today's films and network TV shows. And the training content is first rate, up-to-date, and critically important.